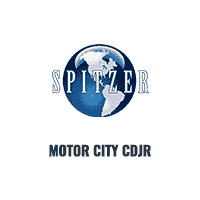 At Spitzer Chrysler Dodge Jeep Ram Cleveland, not only will you discover a huge selection of low-priced used vehicles for sale, but also an array of used car specials to help keep even more money in your pocket. No matter the style of used vehicle you’re interested in, or the budget you have in mind, our amazing used vehicle discounts are guaranteed to make you smile. To explore some of the ways you can save on a reliable used car, check out our pre-owned vehicle specials in Cleveland, Ohio today. 2018 Dodge Journey Crossroad White THIRD ROW SEATING, CARFAX 1 OWNER, 7 PASSENGER, CLEAN CARFAX, CERTIFIED, INCLUDES WARRANTY, BLUETOOTH, PROFESSIONALLY DETAILED, AWD. CARFAX One-Owner. Clean CARFAX. Certified. Priced below KBB Fair Purchase Price! Whether you find the used car of your dreams in our certified pre-owned inventory, or you spot the deal of a lifetime in our bargain inventory, you’ll find nothing but opportunities for savings here at Spitzer Chrysler Dodge Jeep Ram Cleveland. Excited to learn more about our great dealership specials and car coupons? Get in contact with us today and be sure to ask about our money-saving used vehicle discounts. One of the easiest ways to take advantage of extra savings at our Cleveland, OH dealership is to value your trade. Once you do, you can combine the current market value of your old car with one of our excellent used vehicle specials. To take the next step towards undeniable savings, fill out our auto financing application online now, or give us a call and ask how you can value your trade and experience additional savings on top of one of our fabulous deals on used cars.